In your classroom, you may have tasted PTC paper while learning about genetics and evolution. PTC is a bitter compound that some people can taste, and some people cannot. The difference is linked to three SNPs in the TAS2R38 gene. TAS2R38 is one of 38 functional bitter taste receptors encoded in the human genome that allow us to perceive a variety of bitter-tasting compounds in the food we eat. All mammals can taste bitter compounds, but for some it is a matter of life and death. Koalas (Phascolarctos cinereus), marsupial mammals native to Australia, survive almost exclusively on eucalyptus leaves, a diet that would be lethal to most other animals. Eucalyptus trees produce high levels of phenolic compounds, terpenes, and other secondary metabolites as a defense against herbivores. Koalas therefore have little competition for resources, but how do they cope with this toxic diet? The recent publication of the complete koala genome sequence has revealed the molecular-level adaptations that allow koalas to subsist on eucalyptus leaves. 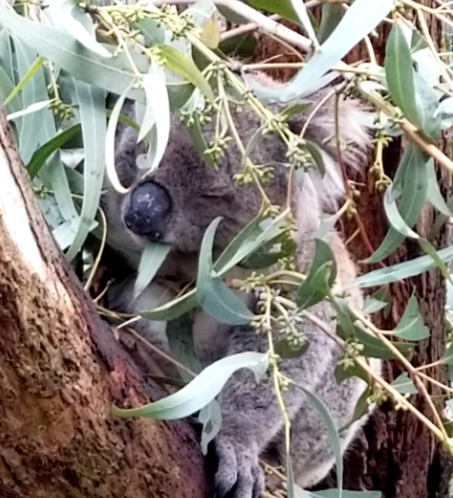 Of the hundreds of eucalyptus species that grow in Australia, koalas only feed on 40-50 types, and appear to select leaves based on their secondary metabolite concentration. Both sensory receptor genes and chemical detoxification genes may have played a role in koala evolution. Gene duplication followed by functional divergence is a source of new genes and evolutionary novelty. The koala genome sequence reveals duplications of four groups of bitter taste receptors within the genome, producing 24 TAS2R genes, more than any other Australian marsupial. These new TAS2R family receptors could help koalas to differentiate leaves they should and should not eat. The koala genome also shows expansion of one group of nonvolatile odorant receptor genes, suggesting another way koalas may distinguish plant secondary metabolites. 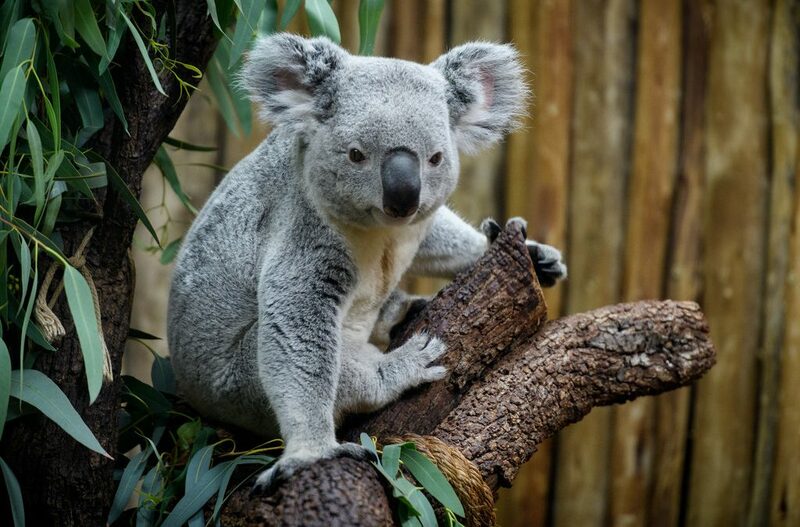 The aquaporin 5 gene, which codes for a water channel protein, is also duplicated in the koala genome, potentially helping the koala sense moisture in leaves. The genome sequence also shows how koalas may detoxify the xenobiotics they ingest. Cytochrome P450 monooxygenase (CYP) genes are involved in metabolizing and detoxifying a variety of compounds. These genes are present in all kingdoms of life, but two expansions of CYP family 2 subfamily C genes have evolved specifically in koalas. The gene sequences have undergone both functional diversification and natural selection to preserve functionality, enabling koalas to break down diverse toxic substances in their diet. Wild koalas are threatened by habitat fragmentation, urbanization, climate change, and diseases such as Chlamydia and koala retrovirus. The koala genome may contribute to conservation efforts by providing offer insights into disease prevention and conservation strategies for preserving this unique and fascinating species. 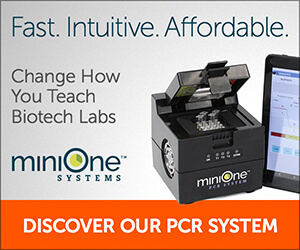 MiniOne Systems offers two ways to study bitter taste perception, through classical Mendelian genetics or bioinformatics. You can explore the inheritance of the PTC tasting trait in a family with our PTC Genetics MiniLab, which supplies ready-to-run DNA samples for hands-on gel electrophoresis. With the advanced level Taste of Genetics MiniLab, students can extract their own DNA, amplify a fragment of the TAS2R38 gene, and analyze their genotype with restriction digest and gel electrophoresis. If you want to introduce your students to genomics and bioinformatics, check out our FREE Introduction to NCBI classroom exercise, which uses the TAS2R38 gene as a gateway to explore online databases of genomes and genetic variants. The function of bitter taste receptors is an active area of research with implications for many areas of biology and medicine. Check this website for updates on new ways to bring cutting edge genetics into your classroom. RN Johnson, et al. Adaptation and conservation insights from the koala genome. Nature Genetics 2018, July 2.